When I first started receiving information about Virginia, I wasn’t sure what to expect. The developers had released a demo of the game on Steam and I’d been tempted to try it out, but real life interfered and I never got around to it. However, I saw that the knee-jerk reactions accompanying the game’s September 22 release were very polarized: many people applauded the game’s unique storytelling method, while others accused the game of being an overly-linear “walking simulation” that was far too convoluted to be enjoyable. I can say this: the game will only take you around two hours to get through in a single play through, and most people will probably see no reason to play it a second time. Really, it’s kind of like an interactive movie, and considering that the developers cited shows like The X-Files and Twin Peaks as inspirations for the direction they took with Virginia, it kind of makes sense. 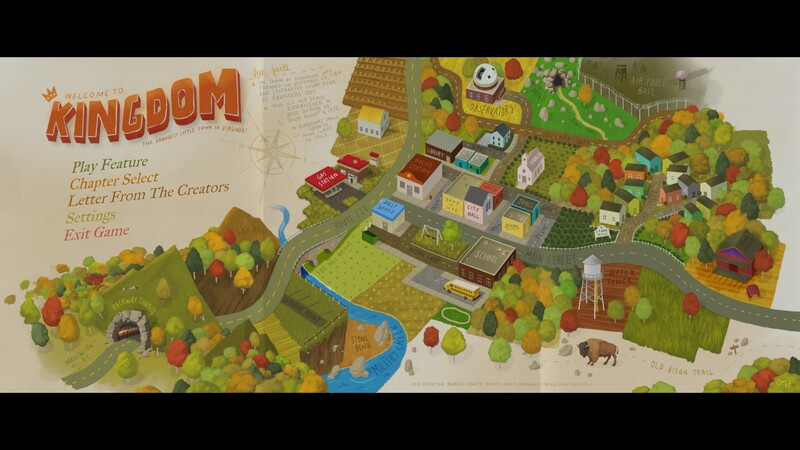 It’s a game where you’re on rails, the outcome itself is predetermined, and ultimately you’re on a journey with Anne and Halperin as they investigate a missing boy in the town of Kingdom, Virginia as well as corruption within the FBI itself. 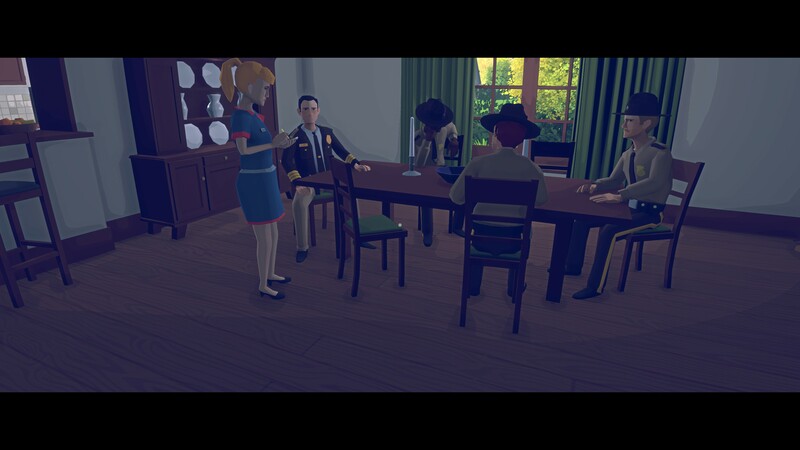 Viewed in the light of a two-hour interactive film, the game is actually quite enjoyable. What starts off as the beginning of a young FBI agent’s career and her investigation into a possibly corrupt agent named Maria Halperin (and by extension her involvement as Maria’s partner in finding a missing child named Lucas Fairfax) quickly evolves into something more. At first, it’s easy to think you understand what’s going on, only to soon find yourself second-guessing things. Not long after that, you may even start to wonder what’s been really happening and thinking that none of it makes sense. Play on, though – I assure you that once you start to reflect on the events (particularly after you finish the game), things will start to become a bit more clear. One aspect of the game that’s sure to be divisive among those who play Virginia is the fact that the game has no dialogue whatsoever. That’s not to say that nothing is actually being said in-game (in fact, I assume it’s kind of like Link’s dialogue in the Zelda series, where it’s obvious that he’s saying things but we almost never hear him actually say anything) but rather that a design choice was made to have all spoken dialogue simply be inferred. It’s more about imagining what’s being said, trying to understand a character’s emotional state at a given time, and imagining ourselves as Anne and what she would be thinking, saying, or experiencing of others and the world around her. Graphically, the game is also fairly unique. The art style is certainly different, and the way the character models are done (almost low-poly in some ways) is very reminiscent of the period in which the game is set (early-1990s), but it definitely works and draws you in. In contrast to that, all of the environmental graphics are very well-detailed, so it strikes a unique balance in that respect. The music is another aspect that is really high-quality. The developers got composer Lyndon Holland and the Prague Philharmonic Orchestra to create an absolutely fantastic, cinematic soundtrack that’s worth picking up just on its own. When it comes to how the game wraps up, that’s left largely up to you to interpret. Talking about that in too great of detail would really spoil a lot of things, but suffice to say that there is an ending there and the clues as to what really happened are spread throughout the game. Some people have said that they felt like the developers failed to deliver on a satisfactory ending, but I actually think that if my personal understanding of what happened is correct, it all fits together nicely and tells a thought-provoking and rather deep story, not particularly about Lucas Fairfax or necessarily even the FBI as a whole, but rather on the characters we see throughout the game. The game isn’t without its hang-ups, though. First, it’s worth pointing out that Virginia was developed to be played at 30 FPS, and even though the PC version does offer a 60 FPS option (with a warning that pops up if you try selecting it), it sort of feels like the engine tries really hard to drop back to 30 in spots. There’s also a fair amount of cinematic motion blur when you pan your view a bit, and while I can understand that from a development perspective (as I suppose they’re going for a cinematic look). I’d prefer to have had a way to turn it off. Also, the game is forced into a 21:9 aspect ratio viewable area (for example, running the game at 3840×2160 yields a playing field that’s around 3840×1620), likely also to give the illusion of viewing a film. There’s nothing terrible about that, but some may prefer to have the full screen area viewable. 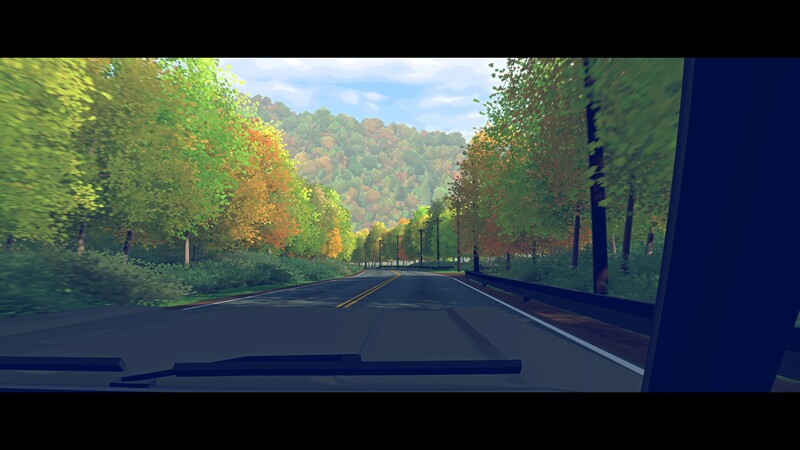 Overall, while I don’t think Virginia will be everyone’s cup of tea, and I don’t think you should expect for it to be much more than an interactive movie, I do think the game has a lot of promise and certainly leaves you thinking about everything you experience while going through it. Given that it’s only $9.99 on Steam, I think the asking price is more than fair, because it’ll leave you thinking about it long after you finish.